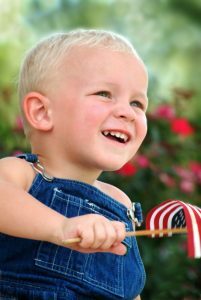 Hope for Children Foundation honors veterans throughout all military branches and their families. It was the 11th hour of the 11th day of the 11th month in 1918 – 100 years ago – when the hostilities ceased in World War I. One year later, the Treaty of Versailles was signed and what was known as the Great War was officially over. One year later, the country celebrated its first Armistice Day. Renamed Veterans Day in 1954, November 11 reminds us of the millions of men and women, along with their families, who selflessly serve our country each and every day. Yes, veterans we honor you and the fallen brave men and women of this country whose lives have helped us, our family and friends live with freedom. Freedom is one of the most precious liberties one can possess in the United States. We thank you deeply for your service to our country and it’s people. We thank you not just on Veteran’s Day…we thank you every day for your numerous sacrifices and the greatest sacrifice of all…the lives of many soldiers. Thank you for all you have done for the children of this country, and children for generations to come. We are proud to honor the many veterans across this wonderful nation. To all of our nation’s veterans and their families, thank you for your service, dedication and sacrifice. We appreciate all you have done and continue to do for our country. We would not be a great nation without your many sacrifices and hard work. You have our gratitude and respect. Veterans we understand for the soldier, Memorial Day 2018 is not an history lesson, quickly forgotten like other lessons from our school days. The meaning of Memorial Day for the brave soldiers in the United States military… is the father, the mother, the sister, the brother, the daughter, the son, the husband, the wife, the friend, the bud, the “I’ve got your back!” the pal who never came home.